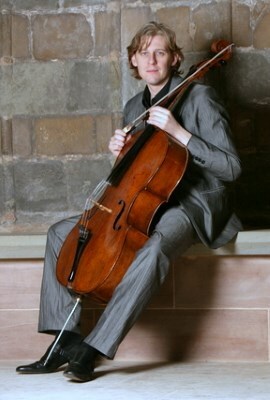 Richard Jenkinson started to play the cello at the age of five and after winning a scholarship from Derbyshire County Council studied with Florence Hooton, William Pleeth and Raphael Wallfisch. He was awarded a scholarship to the Guildhall School of Music & Drama where he won all the cello and chamber music prizes and in 1994 after a performance of the Dvorak Concerto in the Barbican he was awarded the coveted Gold Medal. After awards from the Maisie Lewis, Countess of Munster and the Martin Trust he studied abroad in the U.S. with Aldo Parisot and Josef Feigelson. In the autumn of 1994, Richard was awarded a top prize in the Vittorio Gui Chamber Music Competition in Florence, Italy and made his first commercial recording of the Complete Sonatas and Variations by Martinu. Richard has played concertos with many orchestras including the Venezuelan Symphony Orchestra (Dvorak in Caracas), BBC Concert Orchestra (Beethoven Triple live on BBC Radio), CBSO, and the Irish Chamber Orchestra. He also collaborates with many amateur and semi-professional orchestras with recent recent performances this year including Shostakovich 1st Concerto, Dvorak (Queen Elizabeth Hall, London), Tchaikovsky Rococo Variations and Pezzo Capriccioso and the Elgar Concerto. In 1995 Richard was appointed Principal Cello with the Irish Chamber Orchestra and during his three years with the orchestra performed as soloist, made several recordings and appeared on Irish Radio and television. In 1998 he was appointed as Principal ‘cello by Sir Simon Rattle and the City of Birmingham Symphony Orchestra and since this time has been guest principal with the BBC Scottish, Halle, Northern Sinfonia, Philharmonia, Orchestra of the Swan and Royal Liverpool Philharmonic Orchestras. He is also a regular member of the Birmingham Contemporary Music Group. Richard is a keen chamber musician and plays regularly in a duo with the pianist Benjamin Frith. Recitals have included London’s Wigmore Hall and Purcell Room as well as performances around the country. 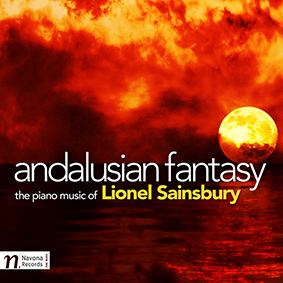 They have also appeared live on BBC Radio 3 and Classic FM. In 2001 Richard founded the Innovation Chamber Ensemble (with other CBSO colleagues) and their performances together have included Wigmore Hall, Canterbury Cathedral, the Buxton, Fishguard, Petworth and Newbury Festivals and several live Radio broadcasts on BBC Radio 3. I.C.E. has also made several recording, their first disc was Classic F.M.’s CD of the week and a new disc on the Somm label will appear later this year. Richard is a founder member of the Frith Piano Quartet and performs around twenty concerts per season with the Piano Quartet including performances at King’s Place and St John’s Smith Square in London and also given several performances for BBC Radio 3. The Frith Piano Quartet made a new recording of Quartets by Walton, Lekeu and Frank Bridge, which was released in 2011 on the Nimbus label, future concerts include the Wigmore Hall. Richard has been fortunate enough to have conducting guidance from Ilan Volkov, Simon Halsey and the CBSO’s Music Director Andres Nelsons. Recent conducting performances of ICE have included the chamber versions of Bruckner 7th Symphony (Deal & Birmingham), Strauss Metamorphosen, Mahler Das Lied von der Erde (Canterbury Cathedral) and Mahler’s 4thSymphony (Buxton, Fishguard, Newbury and Petworth, Festivals, Birmingham and Shropshire). The group were invited back to Fishguard and Petworth Festivals in 2013 where they perform Bruckner’s 7th with works by Wagner and Poulenc’s Organ Concerto. In 2006 Richard was invited to become the conductor of the Nottingham based SaraBande who give 4/5 concerts per season in the East Midlands area with a special emphasis on late Romantic and 20th Century repertoire. In 2011 Richard was invited to become the conductor of the Orchestra of St John in Bromsgrove and became their Director of Music in 2012. The orchestra’s first season of concerts had many highlights including Britten Les Illuminations, Mozart Requiem, Beethoven Eroica Symphony and Third Piano Concerto with Benjamin Frith. O.S.J.’s current season has included Faure Requiem, Haydn Symphony no. 99 and Mozart Clarinet Concerto with a series of festival concerts this July. The 2013 Festival culminates with performances of Schubert’s Unfinished, Mozart Sinfonia Concertante (with Paul Barritt & Louise Williams) and Beethoven Symphony no.5. This year Richard has also been invited to become the Director of Music for the British Police Orchestra; a post he will take up in 2014. In 2012 Richard was invited to join the Dante String Quartet taking over from Bernard Gregor-Smith. With the Dante’s he will give performances this season including at the Wigmore Hall, King’s Place in London and record the Kodaly String Quartets for Hyperion Records. Richard will also be commencing a Ph.d in Music at the University of Birmingham in October 2013. 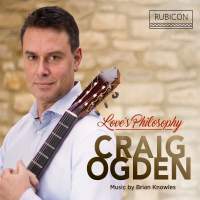 Richard was appointed Music Director of the British Police Symphony Orchestra in January 2014 and will be performing at Beacon Park – Lichfield, Hereford Cathedral and Symphony Hall Birmingham in the Autumn of 2014.